When we analyze the sequence of events leading to the founding of a religious congregation or missionary society we become convinced of the mysterious working of Gods spirit which prompts, inspires and guides people for salvific ends. The founding of the Daughters of St. Thomas too came about through divine direction. Early in life Fr. Jacob was burning with missionary ardor and it was his earnest desire to work as a missionary at Visakapatanam in the state of Andhra Pradesh. The loving persuasion of his Father, however, prevailed upon him to change this decision and become a diocesan priest. Though he could not realize the dream of active missionary work, he retained his missionary zeal and brought this to bear upon every aspect of his ministry. Though circumstances barred his way to active missionary work in Northern India, he found ample opportunities of carrying out his evangelical work in every parish he worked. It is this same evangelic spirit that led him to found the Daughters of St. Thomas. Drawing strength from prayer and having moved by the softness and mercy of heart, he went along the path providence has worked out for him where he has to fulfill his lifes mission, the founding of the Daughters of St. Thomas missionary congregation. 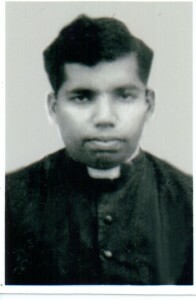 Rev.Fr.T.C.Jacob was born on 2nd February 1912 at Bharananganam in the Thazhathel Family. 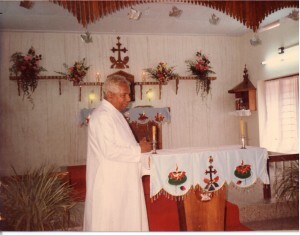 His parish is Bharananganam in the diocese of Pala. He was born as the sixth child of Chacko and Anna Thazhathel and was called by the pet name Kunchacko. 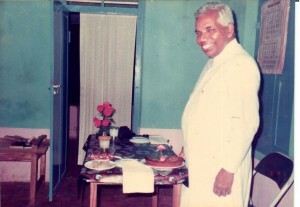 Kuruvilla, Mariam Thudiamplackal, Scaria, Rev.Fr. T.C.Joseph (Pala diocese), Devasiachen, and Aley Plathottam are the other children. He was baptized in the church near Bharananganam then known as Pattupara from Fr. Devasia Machianickal and received the name Jacob. His family is now living in Vakakkadu. Kunchacko, being calm and reserved by the very personality showed keen interest in the spiritual matters from the childhood itself. He was smart in studies and was favored and appreciated in the circle of the friends. 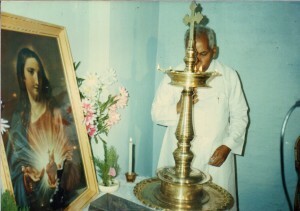 through the classes and studies enabled him to transform himself to be a true devotee of Jesus Christ. He grew in prayer and discernment in reading the will of God about him in the life situations. He was influenced by the holy life of the servants of God Reverend Fr Zacharias O.C.D. and rev. 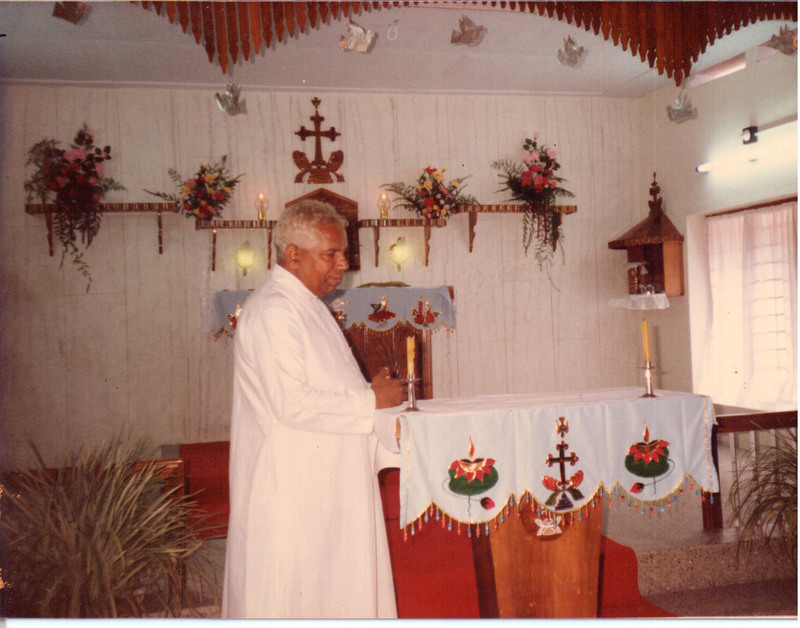 Fr Auralian from Pontifical Seminary, Aluva who were teaching him and guiding him spiritually. In the seminary life itself Father could compose and tune songs on the Word of God he meditated. blessed on that day by the first Holy Qurbana offered by the two newly ordained priests Rev. Fr T.C. Jacob and Rev. Fr. T. C. Joseph. After the Ordination Fr. T.C. Jacob got appointed in his own home parish Narianganam where he served for one year. 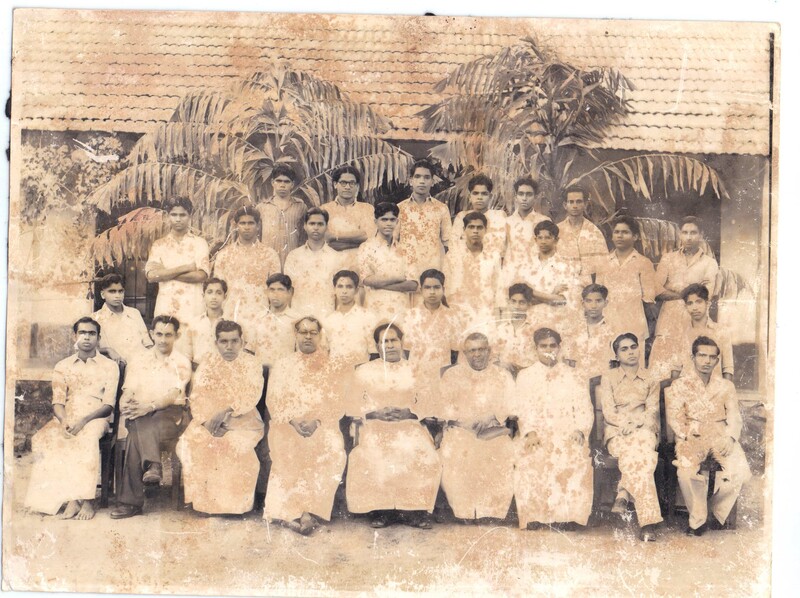 In 1939 he was appointed as the assistant vicar of the famous MarthMariam church of Kuravilangad. He orked consistently for the spiritual wellbeing of the people of God entrusted to his care. 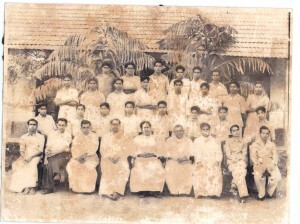 From 1942 onwards Fr T.C.Jacob was working as teacher and boarding rector in St. Thomas High School Pala and afterwards he devoted his time and energy for the construction works of St. Thomas College. Meanwhile he was working in the parishes of Kudakkachira, Vakakkad, Pravithanam, Aruvithura and Bharananganam. Being faithful and dedicated he was fulfilling the will of God in different walks of life. He was appreciated by the people of all sectors because of his friendly dealings and wits. He showed keen interest in the upliftment of the downtrodden and the disheartened. He was working for the Christian formation of the Dalits. It was not casual but under the strong providence of God that Fr T.C. Jacob became an instrument in the hands of the Lord for the founding of the Missionary Congregation of the Daughters of St. Thomas (D.S.T.). Being moved by the pressing needs of the time he could walk in the ways God has guided through different persons and events. 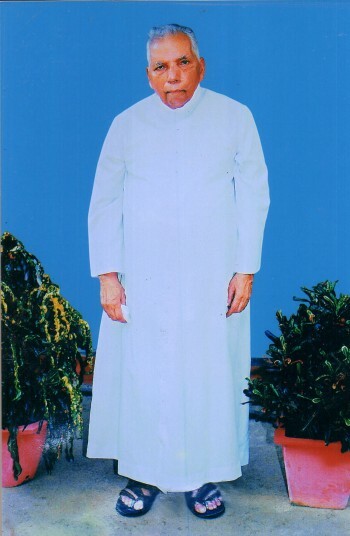 The diocese of Pala being established in 1950 was achieving quich growth under the leadership of Bishop Mar Sebastian Vayalil the first bishop of Pala. It was blessed by many missionary and religious vocations. The post conciliar period paved way for the establishment of Exarchates in different missions in North India. So there arose a need for a missionary congregation to work in the Exarchates. Fr. Jacob Thazhathel received the inspiration from the context. He approached Bishop Sebastian Vayalil asking for the blessings to form a religious congregation for women. He was very happy at this request because it was in conformity to the inner desire he was having and he promised full support and blessings in the venture. Aruvithura one of the most ancient parishes of Kerala became the starting place in the providence. Fr. Jacob started the construction work and other immediate preparation. 3rdJuly 1969 marked the inauguration of the new congregation the heavenly patron being St. Thomas the Apostle. The inspiration behind the founding is the promotion of the glory of God, the sanctification of its members and the salvation of souls, the charism being proclamation of the Word of God in accordance with the spirit and heritage of the Syro Malabar Church. 1971 July 5th was an important day for D.S.T. On that day was the vestition and first profession of 26 novices who became the first members. Receiving inspiration from the divine mandate the sisters started working in different dioceses for the spread of the Good News. They have spread branches to the mission dioceses of Ujjain, Tura, Satna, Kalyan, Gauhati, Bijnor, Chanda, Sagar and Adilabad besides the dioceses of Pala, Kabnjirapally, Ernakulam, Idukki, Kothamangalam, Palakkad, Thalassery and thamarassery of Kerala. D.S.T. is rendering services in Germany and Italy too. The tender attitude behind the founding of the congregation being compassionate love the Founder Father always tried to imbibe the spirit in the members. He used to remind them of the faithfulness and sincerity with which they have to be in the fields of activities. When the sisters start to their apostolic fields he used to advise them to do everything for the love of God. 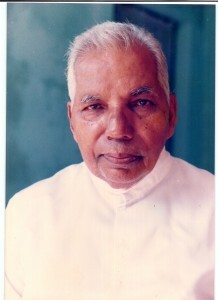 Fr.Jacob Thazhathel was a man of deep spirituality, ardent prayer life and fervent faith in God. He approached everything in an ascetical outlook. Hard work was part of his personality because of which he could meet with success in the various endeavors he was involved in. His last days were spent in a calm and quite atmosphere. Happily he accepted the sickness and sufferings that came on the way. Always he kept a smiling face in spite of the pain. On 13 October 2009 he left his earthly life.